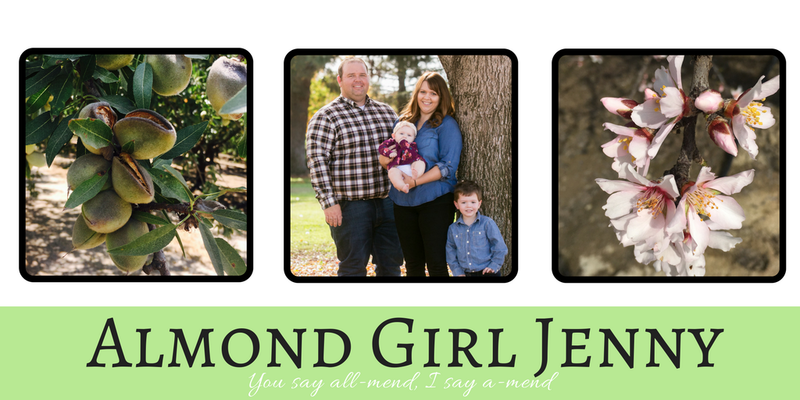 This time of year when you drive by the almond orchards you will see large crews of people in the orchards. Odds are they are pruning those almond trees. Now that its winter and the trees are dormant it's time to prune them. We wait until the trees are dormant to make sure there is no sap flowing through the trees. If the trees aren't dormant when we cut them the sap will flow out like the tree is bleeding. We definitely want to protect the tree and make sure this doesn't happen. As I've said before, I can't ever stick to a recipe. It is something my mother taught me growing up, to always add my own flare to a recipe. I was searching for an almond muffin recipe a year or so ago and came across this cherry almond muffin top recipe. I looked at the ingredients and steps and decided I would make my own little twist to it. Even with my slight alterations, they turned out great! I like to make my own almond flour by simply grounding up almonds in the food processor. Its pretty easy, and if I can do it, you can do it! These muffins are pretty dense, so I like to enjoy them warm with a sliver of butter or honey drizzled on top. 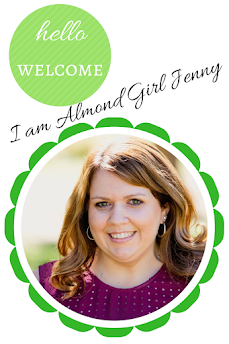 Hope you like them as much as my almond farmers and I do! P.S. I forgot to place the sliced almonds on top when I took my pictures, so they are missing the last almond touch. They were still good, but I missed the extra almond crunch.